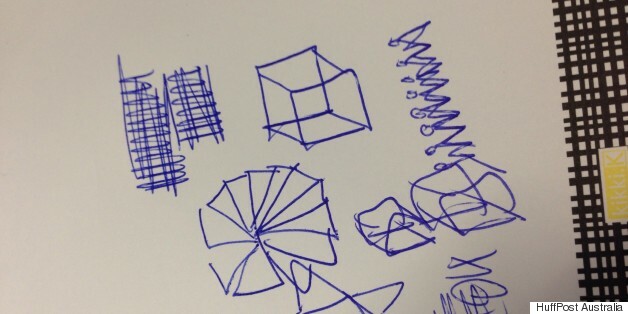 Ever wondered about your doodles? You know what we mean. 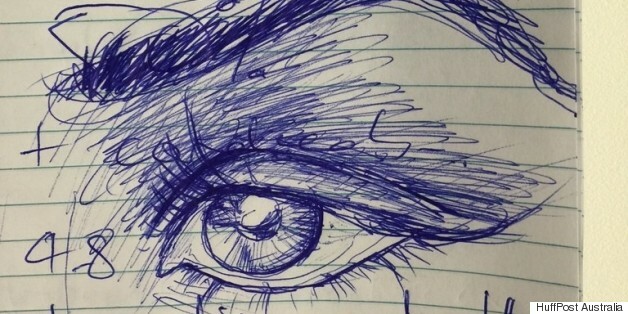 That absent-minded drawing you do when you're on the phone or in a meeting. 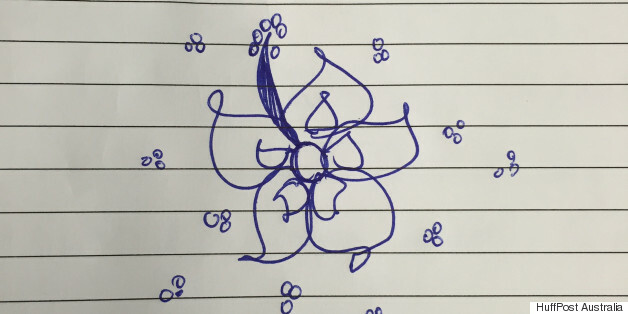 Turns out what you draw -- whether it be stars, flowers or your own name -- could be reflective of certain personality traits. 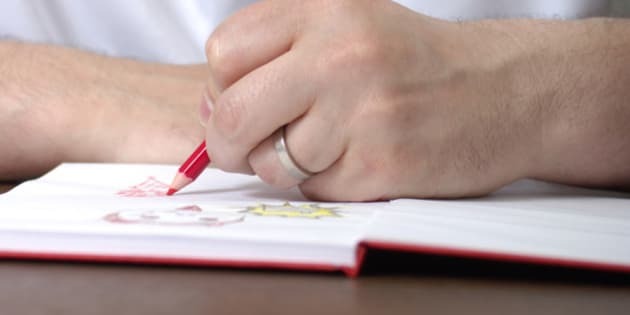 Though it's worth pointing out this is not a scientific study, we spoke to graphologist and behavioral specialist Ingrid Seger-Woznicki about the reasons behind why we turn to absent-minded scribbling when we're distracted. "We do it because we’re problem solving on an unconscious level," Seger-Woznicki told HuffPost Australia. "Or we’re dreaming on an unconscious level. "It is us trying to create our life without stressing about it." So what are some of the more common things people tend to draw? "A lot of people draw houses," Seger-Woznicki said. "It's reflective of their home, or how they perceive their home. For instance, the more detail you put into your 'house' represents how you feel about your house. If you are drawing one with trees and flowers and all that -- that is a really inviting house -- it's meaning you're content. "If you are drawing a house without curtains, for example, it could mean your home is empty, lonely or uninviting. Even if it isn't, physically, it could be that you feel lonely in your own house, or lonely in your life. "Love hearts is another one, and it is what it is. People want to be loved, they want to create relationships that are fulfilling. Conversely a broken love heart could be communicating a pretty crappy relationship. "Basically, if what you're drawing makes you feel good, you're communicating feel-good things. If it looks depressing, you're communicating depressing things on an unconscious level." Keen to find out more, The Huffington Post Australia team decided to submit their latest sketches for analysis... with interesting results. "Flowers tend to be a female thing. They tend to imply something very personal and can be referring to relationships. 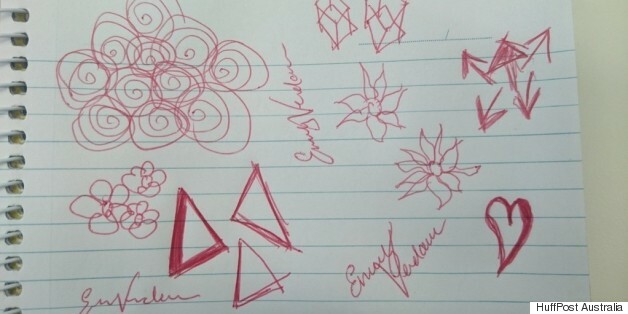 "People who doodle flowers tend to be sentimental people --even traditionalists at heart. They value things like marriage, children, photos, good memories -- things like that." "These people tend to compartmentalise their life into boxes, and tend to be very clear thinkers. Sometimes they may have separate things in separate places -- and by that I mean, for example, they may not have friends that cross over. They have their work mates, their school mates, other mates -- they don't necessarily mix their lives up. "They often deal with things and have checklists. They like to be organised." 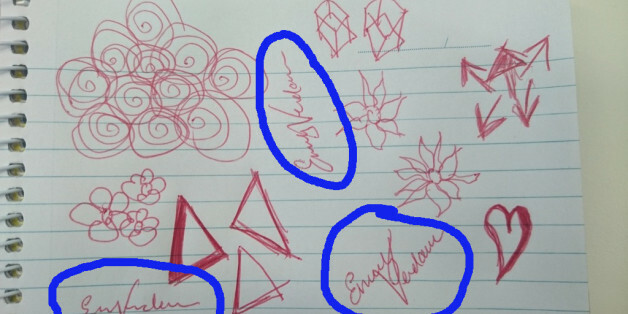 "To doodle your own name means you like attention. That’s what it means -- that you're a bit of an attention seeker. How big you write your name over and over again is how much immediate attention you demand. If you write your name again and again in a small font, you will enter the room quietly, but still command attention in some way or another. "The bigger your name is -- the more likely you’ll make a bigger noise as you enter the room. "It doesn't mean it’s in bad taste -- it could be giggling and laughing, or greeting everyone quite loudly. You do not like to be invisible and if you feel you are, you will take it personally. There's a strong need to be loved and noticed." 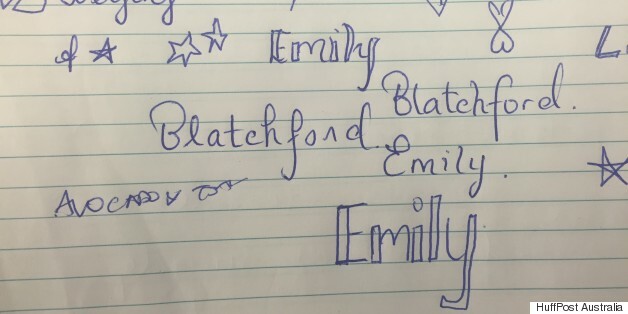 And just in case anyone is putting two and two together and forming opinions about a certain reporter -- it appears to be an "Emily" thing. "Arrows indicate direction and goals also. Backwards arrows may mean you are wanting something that used to be." We did not ask what an arrow explosion means. "Faces are very personal. Essentially they are drawing themselves. A happy face means generally a happy person. If you draw angry faces -- it doesn't mean you display anger, but you could be feeling it unconsciously. "As for eyes -- they are windows to your soul. So, it's a pretty similar thing [as faces]. 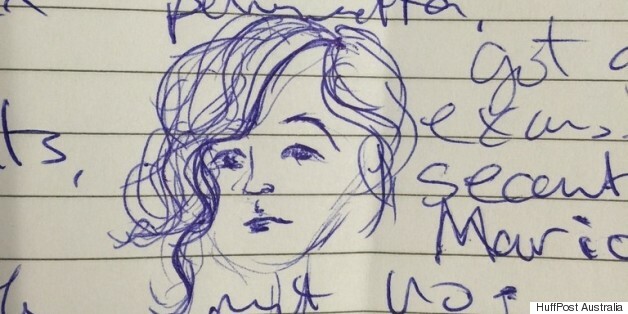 "Anything to do with facial features reveal something about yourself. It can even reveal phallic, sexual expressions too. "The more you put pressure on the eyes or the mouth, that is revealing a lot of frustration in that area. Maybe you don’t like what you see. A closed mouth could signal sexual or sensuous thoughts. "Lips with teeth showing tend to reveal aggression. Possibly sexual aggression -- that you're frustrated with your sexual life. The eyes, nose and mouth -- these are always an expression of self." "It really depends on the type of shoe. A spiky heel is interesting -- it reveals sarcasm. "A heavy shoe or more of a working show can indicate a desire to dominate. A pretty shoe is friendliness. "Shoes are actually the way we reveal strength. 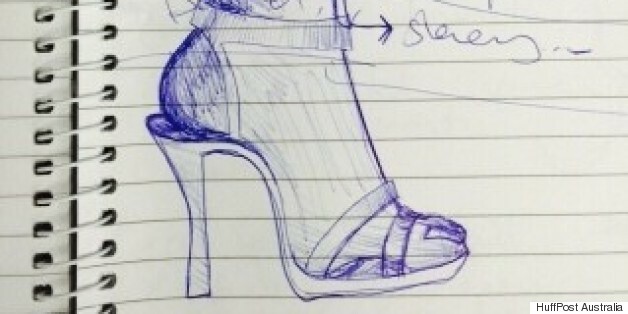 Kids often don't draw shoes, because they don't have a strong foundation yet. They don't feel strong on their feet. That's why you say, 'I've got to get back on my feet' -- it indicates our foundation and strength." And sometimes our doodles represent our social lives. Like that of CP.